Home Games Review Plants vs. Zombies and George Fan; the man behind it success. 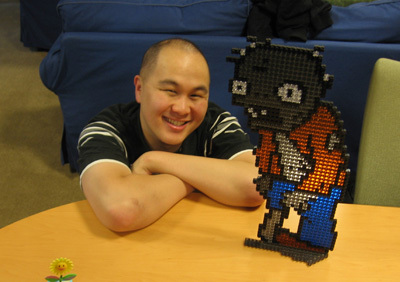 Plants vs. Zombies and George Fan; the man behind it success. Probably, you have played the craziest, gritty, sickeningly cute and addictive game ever created by Pop Cap Games its “Plants versus Zombies “. I have been playing Dynamite, Zuma’s Revenge and any Pop Cap top casual games but Plants versus Zombies is the most impressive in terms of games logic, the character designs, the environment , the idea is unique and the total creativity well surely rock your zombie first encounter. Who says it's not addictive? As you walk on the streets, mall, gaming stations and internet cafés you will caught someday playing it. I notice that even adult people, computer geeks, company boss and engineers choose Plants vs. Zombies as their boredom killer. My GF has been playing Plants versus Zombies over 6 months and finish all levels without cheats and she still love to play it again. Pamela my co-employee and friend were always caught by the HR playing Plants versus Zombies.I know even our admin head and HR was also addictive on it. 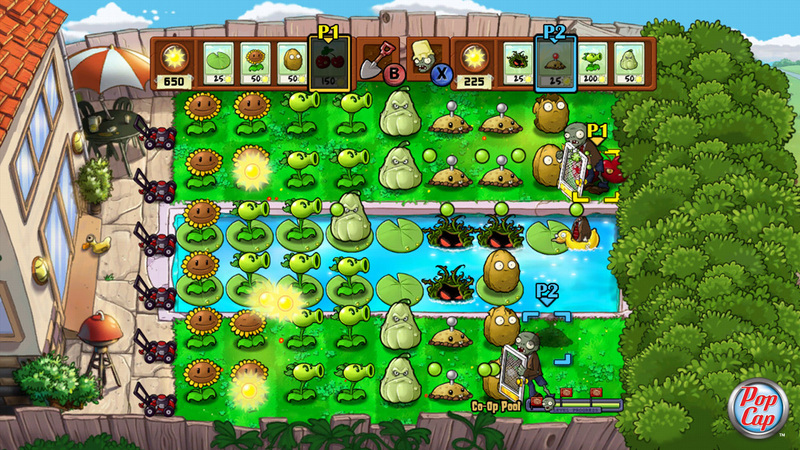 Plants versus zombies has no ending of craziness, you can play it over and over again. I personally like Plants versus Zombies because of its wacky sound effects, goofy , cartooning and the crazy whole thing. The funniest part is the Michael Jackson zombies but this part was lately remove and replace by a disco zombies due to some critics issues. The most hilarious and wise zombie is the Pole Vaulting Zombie. Do you know who was the person behind the success of Plants versus Zombies? He is a cool, simple and smiling face guy no other than Mr.George Fan, the mastermind of plants versus zombies. To continue, before he work on Plant versus Zombies George Fan starts with Insaniquarium and what kind of object game. His previous masterpiece was not as successful as he describe because he lacks Pop cap employees to help him fully work and focus on the project. Luckily, during the Plants versus Zombies he has team to do the project like Tod Simple (Programming), Rich Werner (Artist) and Laura Shigihara ( Musician) that helps George Fan to achieve. According to George Fan in one of his words in …. He has no secret on building Plants vs. Zombies, it’s only a personal taste and a struggle to balance everything thematically. His aim is to create a different genre of games apart from conventional tower defense games like maze and other path like games. According to him also, Plants vs. Zombies was inspired by 3 games; the Warcraft III Tower of Defense, Insaniquarium and Tapper. Insaniqaurium concept was an idea to select plants and nurture it. Insinaquarium becomes part of plants versus zombies if you are aware, the Zen Garden is from the whole thing. Tapper shines the idea of multitasking gaming on five lanes. 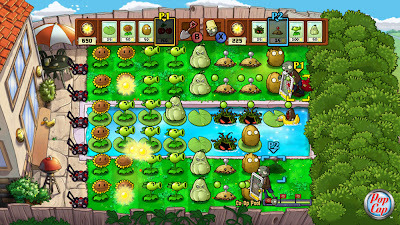 According to Wikepedia,”Plants vs. Zombies has been nominated for the "Casual Game of the Year" and "Outstanding Achievement in Game Design" Interactive Achievement Awards from the Academy of Interactive Arts & Sciences]The game received nominations in "Best Game Design", "Innovation", and "Best Download Game" for the Game Developers Choice Awards. Plants vs Zombies was picked by Gamezebo “.Truly impressive right.